The cost of electricity is increasing year by year around the world, and so the electricity bills. An increasing number of people have started finding several ways to deal with this problem, but till date could not get any effective solution. The situation is even worse for business owners who had to shut down their companies, or lay off staff to cut down on the expenditure and deal with the debt of increasing electricity bills. Fortunately, keeping in mind the need of the hour many companies and electricity providers have started offering the services of energy consultants who are trained to provide effective consultation and advice of energy saving tips. 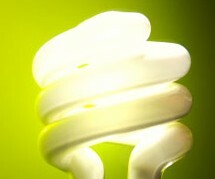 These consultants help the households and business owners to save greatly on their electricity bills. They not only guide people on how to cut down the electricity expenses, but also provide best deals on energy consumptions by getting in touch with the energy providers on behalf of their customers. However, working with independent consultants can be a bit challenging in terms of time and efforts. The clients are required to participate and coordinate actively with the consultants to help them perform their job efficiently. They perform a thorough investigation with households and business owners to know about their concerns and to find out the best possible alternative resources available for them as per their requirement. ● Many a times due to inaccurate calculations or inefficiency of the staff of electricity providers, the electricity bills generated are not correct. There are chances that your energy provider may be charging more than normal tariff for the energy consumed. This often results due to errors in calculations and meter reading. A consultant will analyze and correlate the previous electricity bills to see if the electricity provider has charged according to the normal tariff or not. In most cases, the situation is true and the consultants have to visit the provider to seek clarification and refund. ● These professionals provide the homeowners and business owners with efficient alternative methods that they can use, in order to reduce the dependency on electricity. They provide effective and practical guidance on basic mechanisms that can help you to significantly reduce almost 30% of the utility bills. ● These professionals have good and reputable connections with the all the service providers within an area or community. Therefore, the consultants are able to visit the provider and talk on your behalf to provide you with the best solutions on the basis of your need. Also, they can procure the best rates to meet your consumption demand. ● The major benefit of using the services of energy consultants is that they do not have to pay them for their consultation. This is because they get their service charges from the suppliers in the form of a commission for every client generated by them. Therefore, homeowners and business owners are able to get the benefits and professional services without having to spend any money. It is a useful idea and something I've never considered. Definite bonus that the energy companies have to pay for the consultants time!